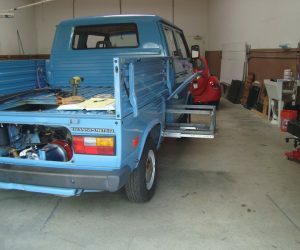 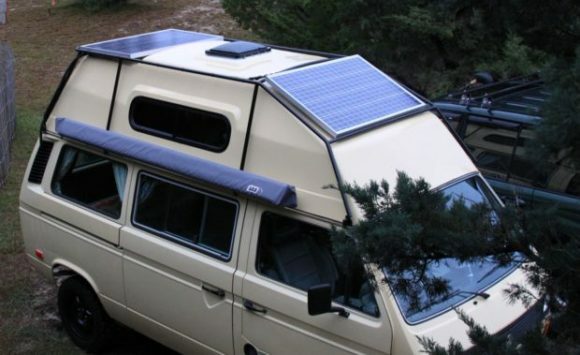 In addition to the solar panels, this van includes a large awning for those weekend camping trips. 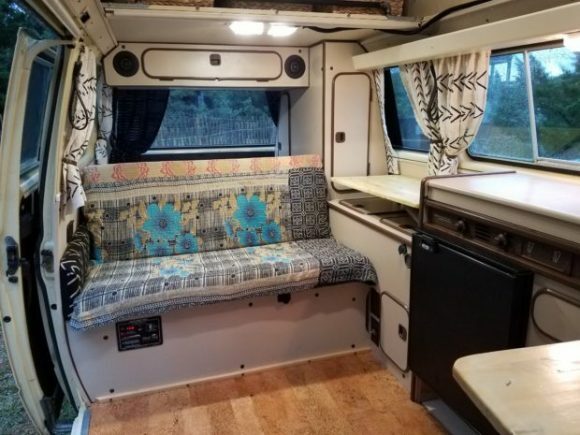 The interior looks homey with its custom drapes and flooring. 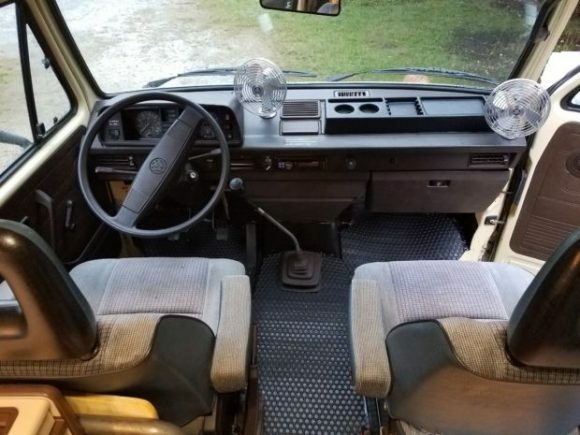 The owner has also replaced the refrigerator. 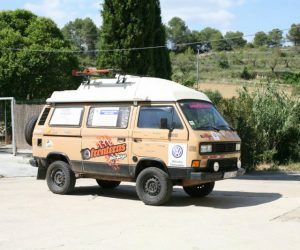 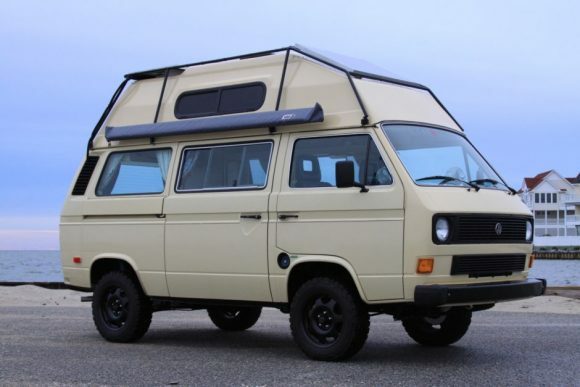 Check out the source link below to visit bringatraler.com to see many more photos of this awesome camper.